In my last post I had a request for more gardenias but in bloom. So here you go! Enjoy! 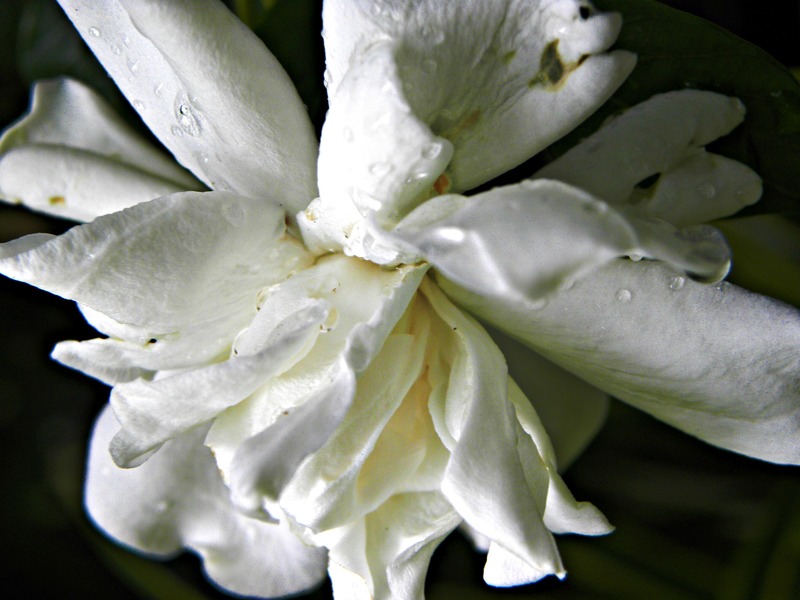 This entry was posted in Photo, Picture from yesterday and tagged flower, Found Round and about, gardenia, Nature's HD, photography, picture from yesterday, tisha clinkenbeard photography. Bookmark the permalink. Thank you, mom! I have to admit I hadn’t paid much attention to them until the front bush bloomed – then the smell was just wonderful and caught my attention. I planted more bushes around the house late spring but they did not survive the harsh summer. Thank you! 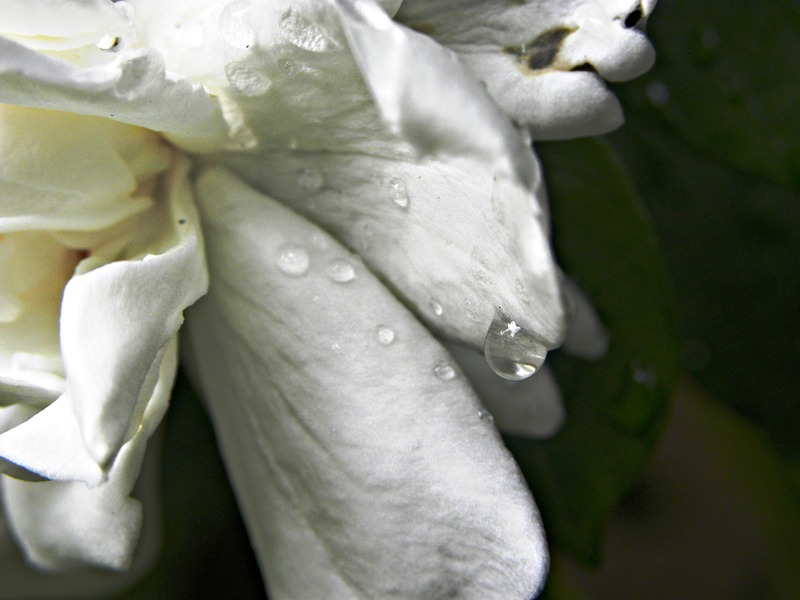 I had a spring where the rain showers gave me many photographic gems! 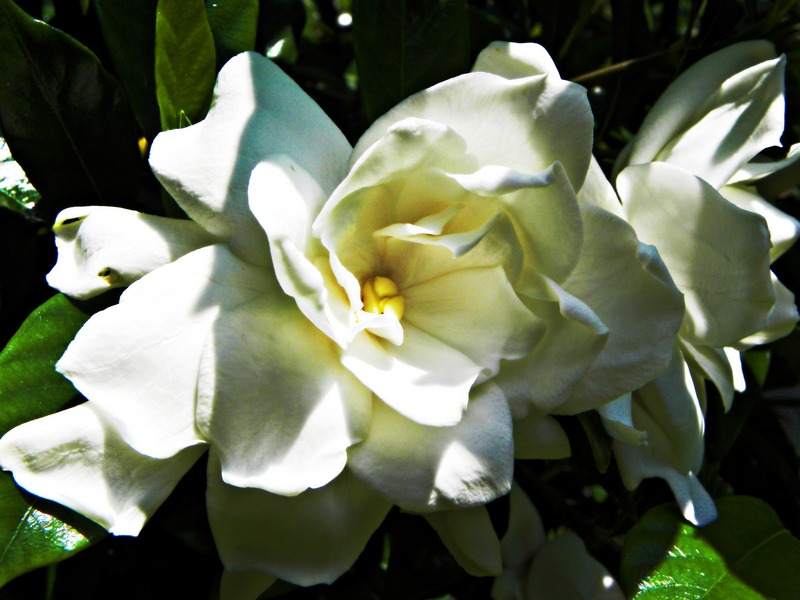 Woah – these blooming gardenias are the largest I have seen. Mum had planted them in our garden in Sydney and I can remember their beautiful smell. Though they would be about half the size of those in your images. These are stunning. They remind me of well crafted sugar flowers, especially the last two. Thank you so much for the wonderful compliments. It is always nice to have those reminders of home, family, and the simple things in life that we appreciate – your comment on your Mum and home. My apologies – I noticed that I posted one of the pics twice so I’ve updated the post! Ooops!